Looking for private in-home or in-studio Trumpet lessons? Our Huntington teachers are ready to get you started. Find your teacher today! Dominic Sahagun is an Assistant Professor of Voice at Berklee College of Music. Dominic has years of experience teaching people of all ages, and in all styles of music. Professionally, he has performed in National Tours, Off Broadway, and in major films. What style do you want to play? I love to play it all. I mean it. So whatever moves you, we can work with that. I've played orchestral to hip-hop fusion, religious ceremonies to wine festivals, in motown, salsa, and funk bands, and with a jazz trio in a literal cave. So--it's up to you! I can teach you all the basics in music (scales, intervals, basic melodies) so that they can be applied to any instrument you may pick up down the line. Most of all, I'm happy to push you to be the best that you hope to be. In my my classes, you’ll learn some of life’s most important lessons - who you really are, what you like, what you don’t, and what really motivates you to improve. Through music, we’ll explore broader life lessons in each class. Classes are offered in-person, in a rehearsal studio in New York, at your home, or online via Google Hangout. Curious and committed? Let’s work together. All age levels and skill levels are welcome. Never touched the instrument before? No problem. Need some advanced ideas for fixing an embouchure issue? I’ve got you covered. If needed, I’ll even work with you to find an instrument to play during our lessons. 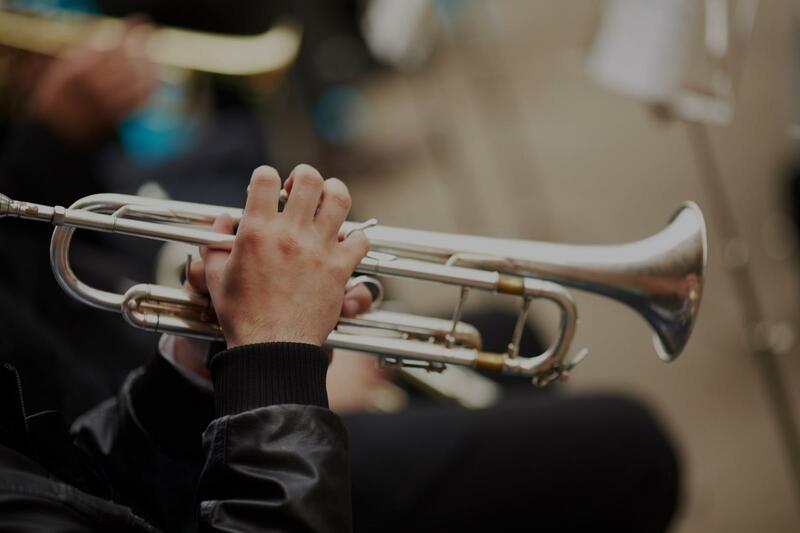 In beginner lessons we will explore the basics: the sound of a instrument, how to use it, daily routines for practicing, scales, sight reading, and most importantly, learning how to learn. In advanced lessons you we will explore more into advances concepts and pieces for whichever genre you would like to explore while building on previous concepts. Reach out for details if you are interested! Lesson prices range depending on frequency, duration and location. And, are typically 1 hour long, 1-2x a week. You may not know it yet, but you will like learning how to play the trombone. It’s held firm that some of the most important life lessons can be learned through music—especially about learning who you are, what freaks you out, and what really motivates you. I welcome all students who are curious to learn and committed to practice. All levels and all ages are welcome; whether you’ve never touched the instrument before or you just need a little help fixing an embouchure issue, or even out those lip slurs (the never ending battle!!!). If needed I will provide a trombone for you to play during in-person rehearsals, as you find an instrument to rent or purchase. These classes embrace a holistic teaching method, where principles of music are interwoven with observations about life on a larger scale. They can be taken taken in-person, in a rehearsal studio in New York, at your home, or virtually. In beginner lessons we will explore the basics: the sound of a trombone, how to the instrument together, hold it, breathe, embouchure,articulation, posture, daily routines for practice, basic scales and not reading, but most importantly, we will learn how to learn. I first picked up a trombone when I was 12, and have not put it down for the past 18 years. After being awarded an “Excellent Player” Award by the Sacramento Traditional Jazz Society which led to the opportunity of performing with a professional Jazz Band, performing with a number of honor bands in middle and teaching at a music camp 3 summers of high school career. I decided to pursue music in College. I received a Bachelors of Music Classical Trombone Performance from California State University, San Jose. I’ve been performing professionally for 7 years and have played in every genre I could get my hands on (Classical, Jazz, Funk, Soul, Hip Hop, Musicals, Ska, Electronic). Daniel is patient, kind and incredibly talented. He is so knowledgable and passionate about music, you can't help but be excited to learn! A fantastic teacher, highly recommend!!! Daniel is a great teacher. His background and knowledge on Music Theory is phenomenal and helped me take my playing and writing to the next level. I really like Daniel. His love for music is infectious. As a teacher, he's patient, crazy smart, and easy to be around. He's also a deep thinker, which makes him really good at using simple analogy to help me understand complex concepts. It's a fun way to learn. TBH I was very surprised to leave lessons not just having learned new ways of thinking about music, but also about myself, and how I can start moving out of my own way. I recommend Daniel without hesitation. I possess more than 10 years of progressive experience in music education. My professional history includes positions such as president/instructor at Rockville Centre Music as well as classical guitar instructor at Long Island Conservatory. Most recently, my responsibilities as owner at Rockville Centre Music match the qualifications you are seeking. As the Owner, my responsibilities included preparing schedules, creating lesson plans, and working with special needs children. Most recently, my responsibilities as owner at Rockville Centre Music match the qualifications you are seeking. As the Owner, my responsibilities included preparing schedules, creating lesson plans, and working with special needs children. I assisted in the successful completion of 10 annual student recitals that showcased over 50 student/teacher/family performances. Experienced music teacher of 7 years available for eager students of all experience levels and ages! While clarinet is my primary instrument I have a special attachment to the trumpet. My original clarinet teacher was in fact a trumpet player and is currently a section leader for one of the United States Air Force Bands. I have also given private lessons to 4 trumpet players - some of whom have gone on to do very well at the high school level. I'm a third year Jazz Trumpet major at Juilliard and have been teaching students of all ages and levels for over 5 years. I am capable of teaching anything within Jazz and Classical music. This includes technique, range, improvisation, sound and much more. I've studied and played with Wynton Marsalis, Roy Hargrove, Bobby Shew, Wayne Bergeron, Mic Gillette and many more. I’m in my third year at Juilliard studying AND playing with my mentor Wynton Marsalis. I have been playing since I was in 3rd grade and since then have had the opportunity to play with Wynton Marsalis, Roy Hargrove, Jon Faddis, Ryan Kisor, Marcus Printup, Cecil Mcloren Salvant, Kyle Athayde, and many others. I've been on tour professionally in Europe, Brazil, the East and West Coast, and most recently Alaska. Would love to work with you! My daughter came out of her first lesson saying,, “ That was awesome”!!! Jonah had seen something in how she was breathing & blowing that more or less changed how she played for the better from that moment on. He was able to teach her new ways of working on her range. She knows instantly who she likes as a teacher and I trust her instincts. She gave him 5/5 stars! "Franz is a master musician. , thus raising their musicianship to much higher levels. I highly recommend studying with Franz." New York, NY teacher: Franz H.
nged how she played for the better from that moment on. He was able to teach her new ways of working on her range. She knows instantly who she likes as a teacher and I trust her instincts. She gave him 5/5 stars!" New York, NY teacher: Jonah M.
"Greg was warm and just a pleasure." New York, NY teacher: Gregory H.
t a few weeks of working with Jerry, my sons grades in band have gone up. Even after my son broke his arm playing sports, Jerry manages to find effective ways to keep him involved and progressing with the trumpet." New York, NY teacher: Jerry V.
. Katie is a great trumpet teacher and I would highly recommend her lessons." New York, NY teacher: Katie M.
as a trumpet player. He is very, and inspired me to want to get better at playing through encouragement and his high quality playing. Every lesson is very personal and fun. I know that sounds cheesy, but I looked forward to every lesson I had with Bobby. Bobby is a very skilled player, and unlike many great players, he can teach just as well as he can play. Bobby and I also spent a lot of time talking about Jazz theory. I am now fairly knowledgeable about theory, one of the best in my school, and I learned it all from Bobby. If you take lessons with Bobby your trumpet skills will vastly improve, and if you want to learn jazz, Bobby teaches jazz theory as well as he teaches trumpet, if not better. The last thing I have to say is something that Bobby told me at our very first lesson, "we will both learn from each other, you will learn trumpet and jazz skills, and I will learn how to effectively teach you." Every lesson with Bobby is extremely personal, and he is constantly improving his already great teaching skills." New York, NY teacher: Bobby S.
irts the worlds of jazz and classical music, and relates to both. He has ideas of what he wants to get across in each lesson, yet also listens and responds to students feedback. I certainly recommend Rafael as a teacher!" New York, NY teacher: Rafael C.
"Bobby is a very devoted and amazing teacher. Honestly, if you want to be really great he will give you all the tools you need to do that." knowledgeable and dedicated instructor. He is always timely and thorough with his lessons. Bobby finds music pieces which are just challenging enough for my son, and my son seems to enjoy his time with Bobby. I also like his balance between teaching music theory and instrument instruction. Bobby explains concepts clearly, and relates well to my son, with a sense of humor and patience. My son has clearly improved in just a few months, and we cannot be happier!"